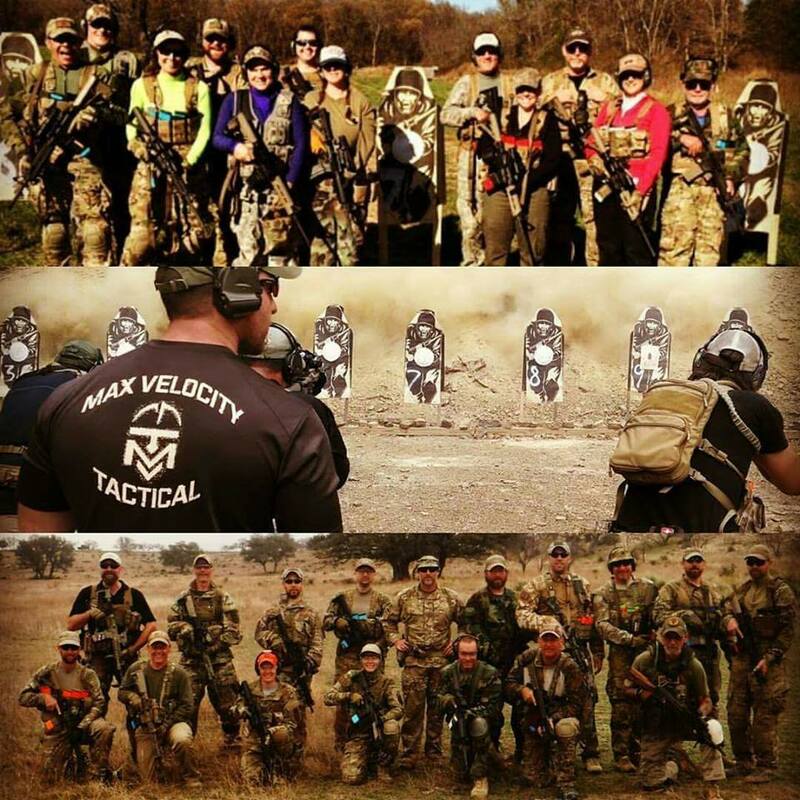 Christmas is on the way, and Max Velocity Tactical has been in operation running active training classes for four years now. 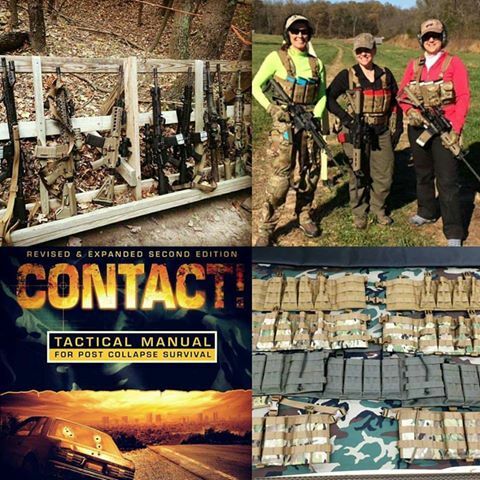 I recently wrote an article over on the MVT Forum talking about the current state of the firearms and tactical training industry. In that article, I commented that MVT is a ’boutique’ operation. That is because of the relatively few who will actually attend real tactical training of the quality and content that MVT offers. The flip side of that, is that on reflection on those we have trained at MVT over the last four years, the answer is overwhelmingly great people. We have a loyal alumni base of returning students who are benefiting from the progression of classes that we offer. The typical MVT student is a well adjusted professional who sees the need to learn legitimate skills to do what it says at the top of the page: PROTECT. DEFEND. SURVIVE. We have trained Special Operations Forces and Responsible Citizens, we run legitimate high quality training classes, and no one is doing it better. We are most definitely a niche operation, because there are simply so few operations that offer anything comparable. It has always been the mission of MVT to train Responsible Citizens and thus ‘keep the good folks alive’ in these uncertain times (and don’t make the mistake of thinking the recent election result changes much of that – in realty, it just means there will be less of a legislative impediment to your ability to train and own suitable firearms, as we face those uncertain times; it is a training reprieve). 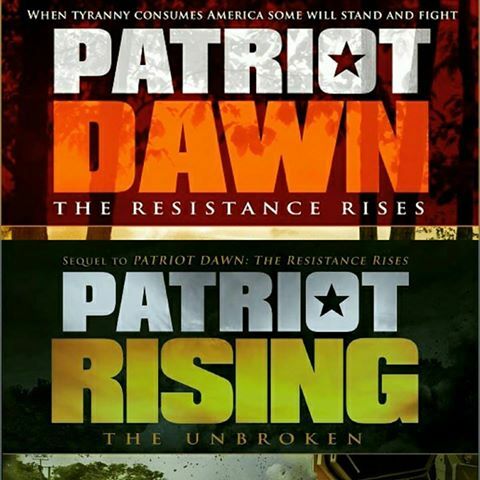 It amuses me, because I am so adamant about making this real self-defense / light infantry / unconventional warfare training available to Responsible Citizens, I am seen by some on the fringe as some sort of revolutionary. 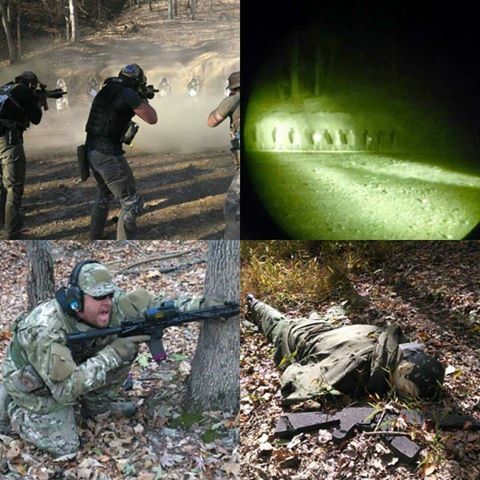 Most definitely not – MVT is nothing more than a professional training organization that believes strongly in the right of the Citizen to self-defense, and acts on that belief to make true combat training available. We have no time for ‘black helicopter’ paranoia, and if you are the type that is so secretive that you don’t want to train for fear of being on a ‘list,’ then you are a poor example of an American, and anyway, the coming four years should allay those fears slightly. Stand up, be a Free American, and exercise your right to train for self-defense under the law of this land. There is a great term, which is on the one hand meaningless, and on the other so very descriptive: Tactical Derp. DERP. There is so much of it out there. One of the consequences of the availability of firearms freely to the public is the great amount of tactical DERP that goes on. This is why the internet is such a terrible place. Everyone is an expert and feels free to extol their wonderful opinions on things they actually know little about. Huge unassailable egos backed by ignorance. I don’t tell an electrician how to wire a house, even if I think I know a little bit about it. I may have an idea how I want a building to look, but I won’t tell an architect how to design it. But that same electrician and architect (for example) seem to have no problem with being experts on the trade of the infantryman and professional trainer. There is a very real problem out there, and it is the tactical DERP, and the fact that many people will not train, or train effectively, hand in hand with a lot of the poor or outright scam training that is offered to cater for that ignorance. But it is not the job of MVT to change that, or recruit people on the internet. But it is a good reason to be grateful for the clientele that we do have, those excellent folk who have identified the need for our training, and done something about it. 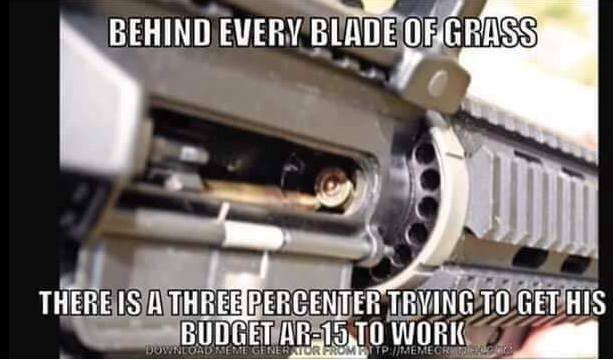 Kind of funny, and oh so true – but also applicable to the ‘built in my mom’s basement crowd,’ or even the expensive AR that is not to spec and does not run. We talk a lot about this, and offer advice, on the MVT forum. Many rifles simply will not run under combat conditions at class – will yours? In case you haven’t figured it out yet, the MVT Forum is where most of the MVT info goes now – we put up a $25 per year subscription wall, and hid behind it to keep our discussions rational and away from the DERP trolls on the internetz. But among a nation of over 300 million, with so many firearms owners, it stands to reason the DERP must be huge. You own a firearm by purchasing it, that is all. Then you do whatever you want. Trick it out to look cool, whatever. So there are hunters, and 3 gun shooters, and plinkers, and long range shooters, and tacticool shooters, collectors, and gun bunny’s, and guys who grow the beard, get the full sleeve tattoos, go to the gym and LOOK THE PART, but who never were and never will be. ‘All the gear, no idea,’ Such a huge scope for the tactical DERP. What is common for most of these is that 1) they are simply hobbyists, not serious about the tactical art and 2) because they own firearms and may exhibit some portion of competence (or not) they think this will transfer across to a tactical situation. They have no idea what they don’t know, and no idea of the training scars that they have. 3 Gun for example. Or hunters who think that because they can hit a buck at X range, that they are tactically capable. Some of this may well apply to you, dear reader – will you simply get offended by my words, or will you do something constructive about it? They have no idea it exists. Getting the word out has always been a problem, and you can help if you want by sharing this, or other, posts or information about MVT. There is a share button at the bottom. They do not see the need for tactical training, because of normalcy bias and a belief that they will never use it. Even if that black swan event does not happen in your lifetime, all tactical training is gold, and will help you in all self-defense situations, from a mugging to a home invasion, not necessarily just waiting for a ‘Red Dawn’ event. Even the simple skills such as scanning and spatial awareness that you learn in the battle inoculation at MVT, help immensely. They do not see the need for tactical training, becasue they already see themselves as trained. Ignorance. 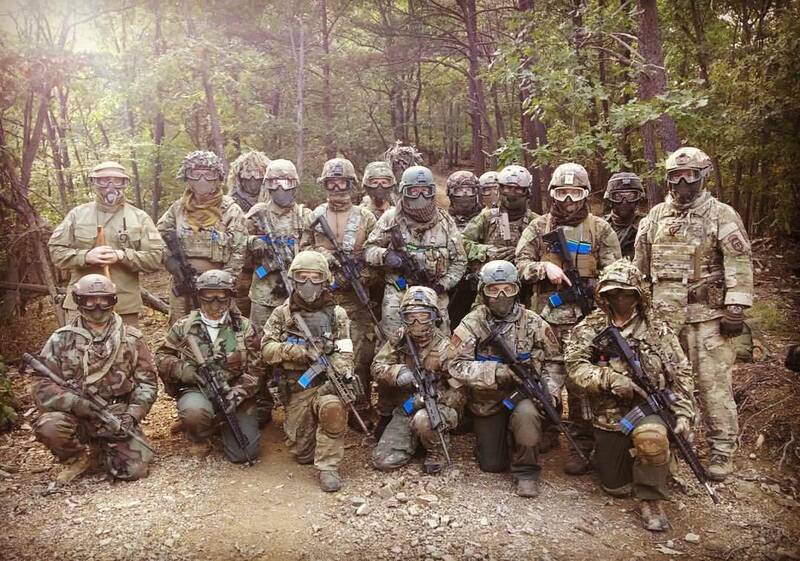 See 3 Gun, tacticool class shooters, many hunters and hobbyists. Their ego tells them that they do not need to train. They have ‘done been shootin’ all their life and see no need for training. They will ‘rise to the occasion’ in the crisis, not realizing that they will fall to their level of training. Their ego tells them that they fear failure, even though they do not understand that at professional schools such as MVT, failure is built in and expected within the training, and is used to make you better and achieve a successful training experience for the student. MVT is not an ego school, it is about training and learning. This sort of ego issue comes from deep insecurities – the student who can show humility, and is brave enough to show up even though we all fear embarrassment and failure when we do, is someone to be valued. It is because of all these factors that MVT is a niche business. It is also because of this that we in the cadre are immensely proud of those who do show up, and who open themselves to learning, and who make a success of the training classes. You may or may not be aware that MVT has begun to manufacture, 100% in the USA by a small business, gear that is specifically designed using our operational experience to work for you. This gear is filling in the gaps item by item to build the required gear for the ‘MVT Gear: Purpose, Use: Your Functional Gear System.‘ Please check out the gear link below to look at the MVT Gear Store. You will be doing yourself a favor if you are looking to equip your self and your group with functional high quality gear: buy once, cry once! So: To the MVT Alumni, and those who have not yet trained but will be coming in 2017, to the Special Operations Forces who have trained at MVT and since deployed: Thank you, we truly do think that we have been training the best folks in America, and Merry Christmas! Out of the 5 reasons that Max listed why people do not train, one of my best friends fits all five! Accidentally, I learned a new acronym today: SWSWSW (“some will, some won’t, some are waiting for you”). It took me several years, but I finally succeeded in convincing my wife to start tactical training. I also learned from my own multiple failures that it is impossible to convince someone in a conversation, or even in a series of conversations, that he/she is suffering from Dunning-Kruger effect, unless that person views you as an authority on this subject. With much effort, I can convince someone who really, REALLY trusts me to invest time, money and sweat into training. But trying to convince anyone else: no luck.